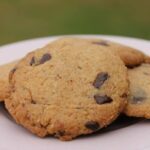 Nut flours work well in baking when substituting out regular flour. 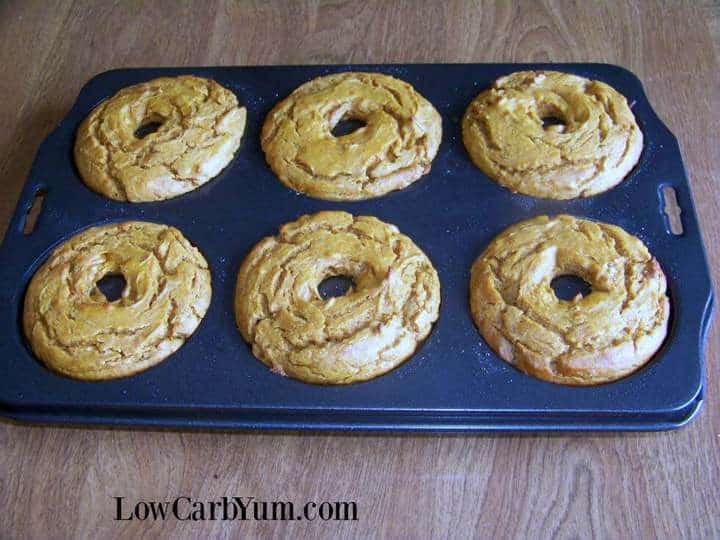 These low carb gluten free pumpkin donuts are made with peanut flour. This is my first attempt at baking with peanut flour. The nutritional values for Protein Plus brand of 12% fat peanut flour are pretty impressive. Each 1/4 cup serving has 110 calories, 4g fat, 8g carbs, 4g fiber and 16g protein. That’s puts the total net carbs per serving about 4g per serving. It’s also much lighter and finer than almond flour because some of the fat has been removed. It can be used as a low carb thickener for soups, a breaded coating, and in baked goods. 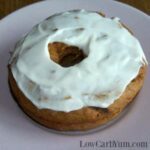 I chose to make these low carb gluten free pumpkin donuts instead. I wasn’t sure if the peanut flour was going to add a strong peanut flavor. While mixing it into the wet ingredients, it gave off a peanut butter aroma and the donut batter was thick like peanut butter. 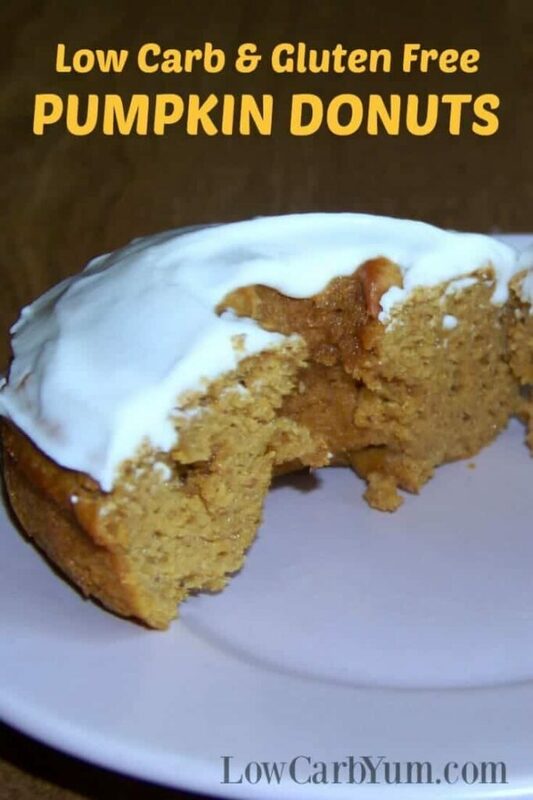 I hoped that the strong pumpkin flavor would take over in baking. And, I wasn’t sure how much the batter would rise so I filled up the molds close to the top. The batter did rise better than I was expecting. So, I should have only gone about 2/3 the way up in each donut mold. The peanut butter flavor was also lost for the most part in baking with just a hint remaining. 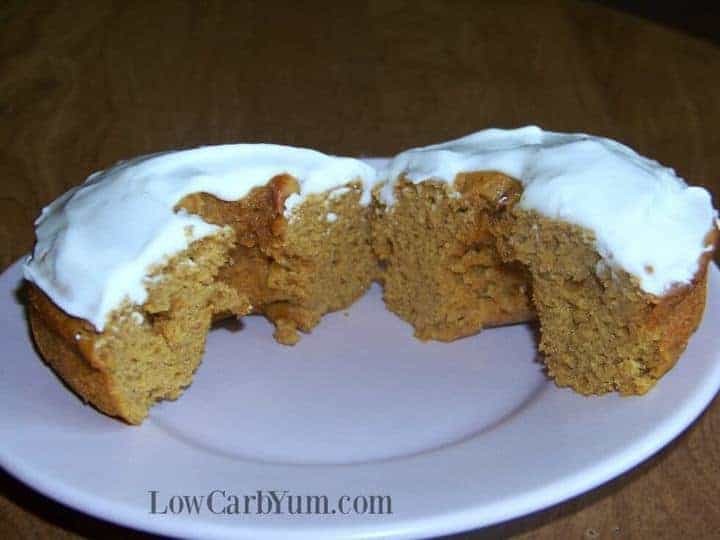 Overall, I was pretty happy with how these low carb gluten free pumpkin donuts came out. In retrospect, there are a few changes I would probably make. Next time, I’d add a bit more spices, maybe a little more sweetener, and less batter to each mold. However, I’m very pleased with how the peanut flour performed in baked goods. I will definitely use it in my low carb baking. The donuts were moist and light. So I’m certain the peanut flour can be used to make a delicious cake for the holidays or special celebration. If you aren’t into peanut flour or just can’t eat peanuts, you could use a blend of almond flour and coconut flour instead. 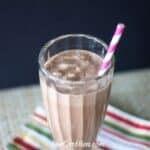 I typically use about 3-4 parts almond to 1 part coconut in the blend. For all you pumpkin lovers out there, I have a recipe collection just for you. 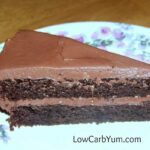 It’s all my favorite low carb pumpkin recipes in one spot. You can find that over here. Nut flours work well in baking when substituting out regular flour. 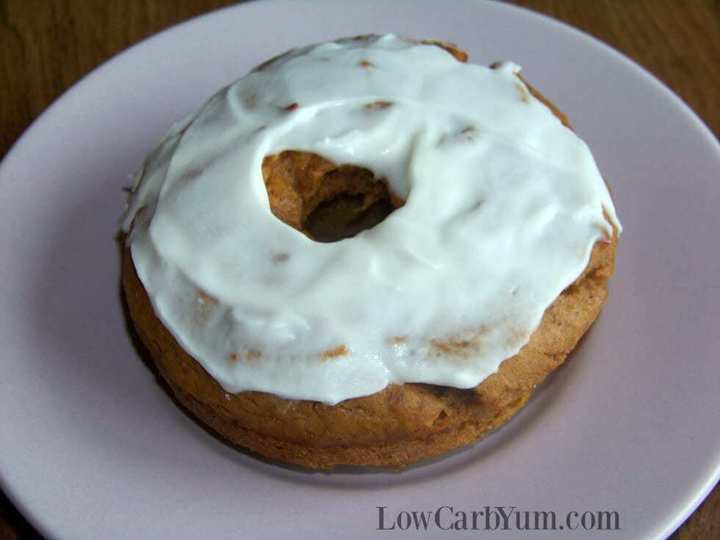 These low carb gluten free pumpkin cake donuts are made with peanut flour. These were really tasty. But when I put the ingredients into MFP, I didn’t get anywhere near your calorie counts (even leaving out the steviva completely to avoid messing things up). Recalculated the numbers. Hopefully, it’s closer now. These were so good! I didn’t even frost mine and they really hit the spot. This is the first time I used only peanut flour in a baked goods recipe and am pleasantly surprised at the nice texture. Paired with the pumpkin, all I can say is – delicious! 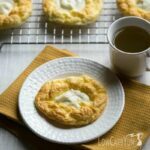 Thank you for posting this recipe; a new staple for me! Peanut flour does give a nice texture like real flour in baked goods. I’m glad you enjoyed these. What is the amount if I substitute with pumpkin spice instead? I’d use about 1 1/2 to 2 teaspoons. 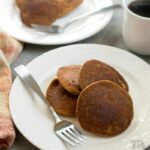 Would almond or coconut flour do the same as peanut flour? Almond flour might work, but it’s a bit different. A mix of almond and coconut flour might work better. These were definitely yummy, if a little confusing to my palate. The peanut smell was strong so I omitted the spices and figured I’d make them into chocolate peanut butter flavor (frosted with chocolate ganache) but then when they were done I decided you really can taste the pumpkin better than I thought. They probably would have been yummy with the spices as written with some chai icing or something. Anyway, the texture came out great which was important to me so I am happy and will definitely be making them again! This was kind of an experiment that I did with peanut flour. The pumpkin does cover up the peanut taste well, especially with the spices. MFP does not calculate low carb sweeteners correctly. Since erythritol has no impact on blood glucose, it should not be included in the total count. 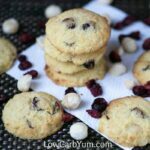 We have severe nut allergies in our family, could regular whle wheat flour work? Regular wheat flour will work. If there is no allergy to coconut, you can use coconut flour instead. When using coconut flour, less is needed but it requires adding more egg. How much less when using coconut flour? I’d say 1/2 to 3/4 cup of coconut flour and increase eggs to 5. If too thick, you may need to add a liquid like almond milk. 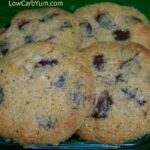 I made these and had pretty low expectations (so many bad experiences with low carb baking) but was really pleasantly surprised. I have a food sensitivity to Thanksgiving spices, so I left those out and the peanut flavor was very prominent, but that was a really GOOD thing. Mine were not really the consistency of a donut, and not a muffin either, but more like a brownie, kind of dense. 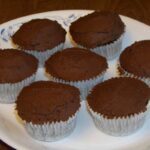 I will be trying these with a chocolate glaze next for a peanut butter cup take on the recipe. Bonus: these are filling – I made mini donuts and one was very satisfying. 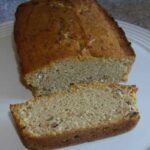 In Canada, Peanut Flour can be found at The Low Carb Grocery Store… And now I have another recipe to try…Yahoo!!! Fantastic recipe, Lisa. I don’t own a donut pan, I really do want to get one. 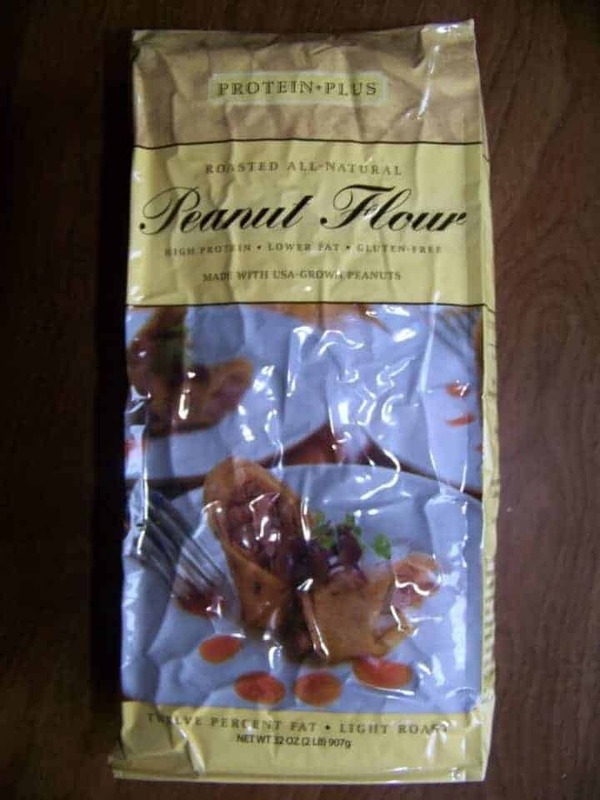 I’ve never seen peanut flour, but they make “flour” out of everything, so it makes sense. I like your review of it. Funny, I was thinking about pumpkin donuts because I keep seeing them on foodgawker and such. But now my attention has been turned to pumpkin fritters, I may give that a go with a low carb makeover! I love me some pumpkin! I’m thinking of a pumpkin cheesecake this afternoon..but these look tempting! I haven’t worked with peanut flour – hmmm, wonder where I could find it. 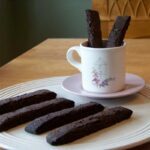 If I don’t make these this afternoon, I will definitely be making them in the future! Sifted almond flour should work fine in these donuts if you don’t have peanut flour. I know that Trader Joe’s sells peanut flour, but I haven’t seen it in any of the other natural food stores.